Though every color of the rainbow is represented here, I only used four polishes. I used a nail art brush to paint each color on my nail in rough lines. Then, where each color intersected another, I created custom mixes of colors to make a smoother transition. It really helped reinforce the "melting" look. For example: see the green color between the yellow line and the teal line? That shade was created by mixing one part yellow with one part teal, and then painting it between the two colors on my nail. I continue to be impressed by Seche polishes. I shouldn't be surprised, as I swear by Seche Vite, but these polishes really are nice. Good formula, nice colors, usually very opaque, and great for nail art, particularly. They are sold at Ulta; check your local store for availability. What do you think? Do you, like me, enjoy putting things in rainbow order? I think I could use a polished called Conquer the World! 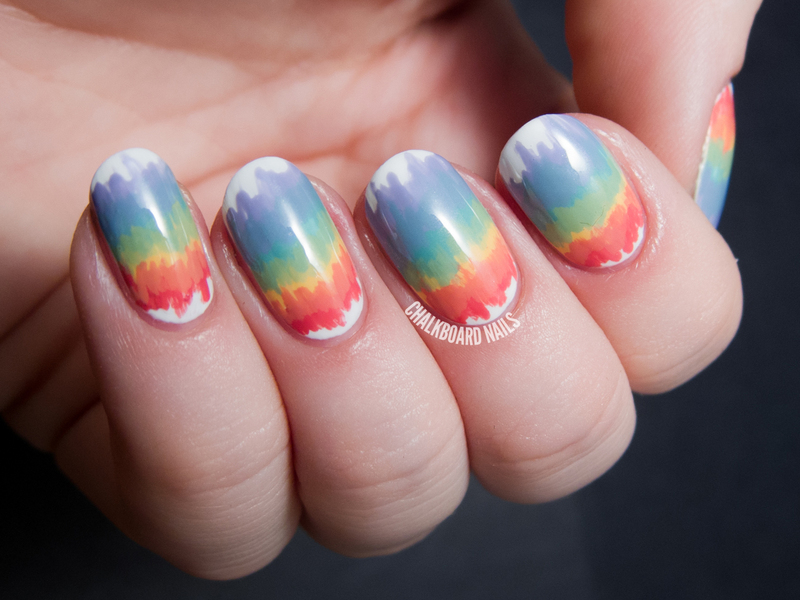 Supa cool mani. Love it! These are fun! Love the look to them. So cute, I love anything rainbow coloured too. 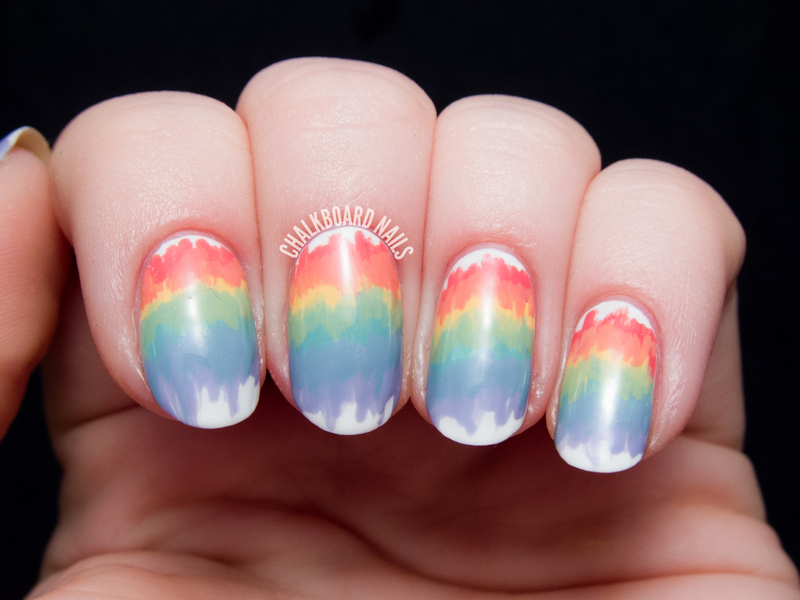 I love rainbow manis! Such fun!! This is so beautiful! I love how you captured the rainbow. I have a couple of Seche colours I picked up and they're one-coat wonders, love them! I'm not sure what you mean, could you maybe try rephrasing so I can try to help? Sometimes I have to go over lines a few times to make them completely opaque (non-streaky). Then a good thick topcoat helps to even everything out at the end -- I like Seche Vite but other good options are Poshe, Cult Nails Wicked Fast, KBShimmer Clearly On Top. Thank you so much sarah I hope to try it again soon and hopefully it doesn't get gloppy in the when I go over it like always. I wish seche vite was available in India or the other options that you have listed but never the less I just today bought this top coat from inglot, I hope it works better. 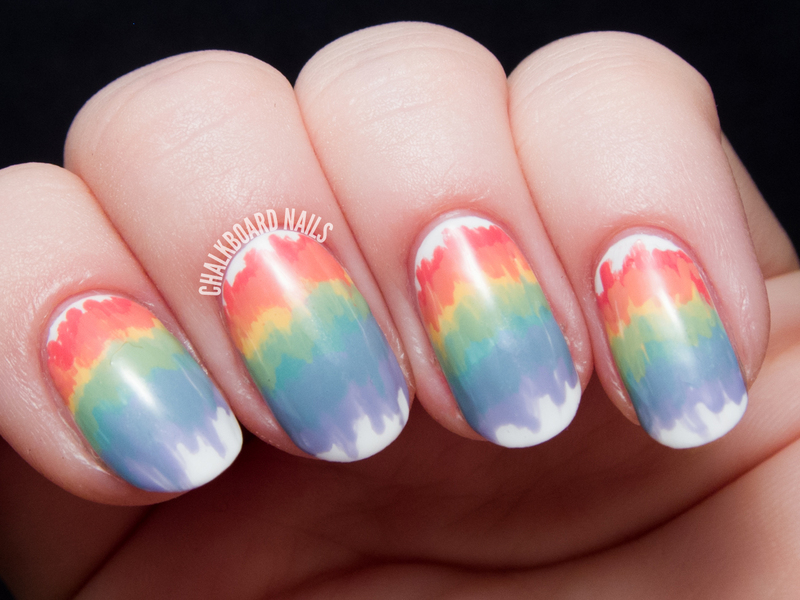 This is gorgeous, I love the "melted rainbow" look!